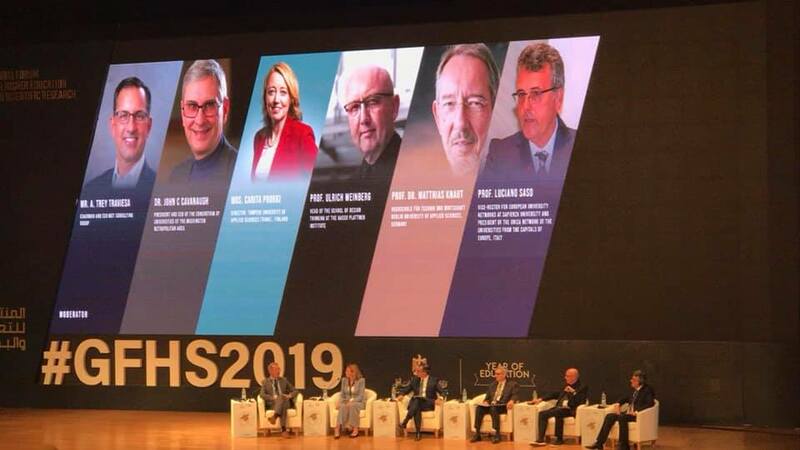 German University in Cairo - Prof. Matthias Knaut, Vice President of Research, HTW, Berlin -GUC Partner university ,heading a panel discussion titled "The Future of Universities". 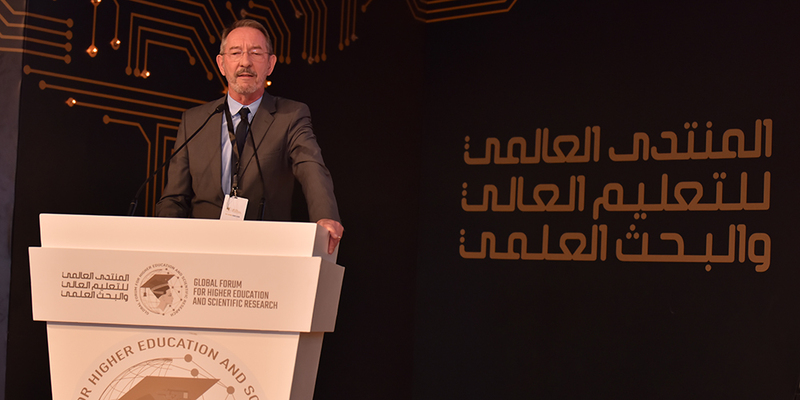 Prof. Matthias Knaut, Vice President of Research, HTW, Berlin -GUC Partner university ,heading a panel discussion titled "The Future of Universities". 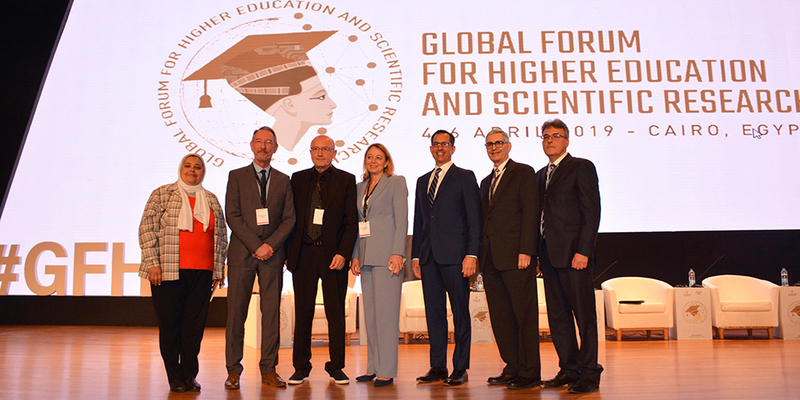 Prof. Knaut from HTW Berlin - GUC Partner, participated in “The Future of Universities” discussion panel at the Global Forum of Higher Education and Scientific Research last Friday on 5th of April 2019. Among the points they raised, rethinking the use of the classroom and the value of liberal arts education. Vice-President for Research at HTW Berlin & Founding President of GIU AS Prof. Dr. Matthias Knaut was appointed Professor for the Restoration of Archaeological Objects of Cultural Value at HTW Berlin in 1993. He was instrumental in the establishment of the Conservation-Restoration/Field Archaeology study programme. In 2003 he became the Dean of the School of Design and Culture, an office which he held for a total of four times. Since 1 October 2010, Matthias Knaut has been the Vice-President for Research at The Hochschule für Technik und Wirtschaft (HTW Berlin) in Berlin. Officially he is also a member of the Board of the Berlin Institute for Applied Research (IFAF) and head of the competence center of applied computer science.